ElaSkin is cleared for both OTC and prescription use. State College, PA, January 2018- Biomaterials and medical device start-up, Aleo BME, has received notification from the U.S. FDA that it has been approved for the sale and licensing of ElaSkinTM as a liquid bandage for the protection and treatment of a broad set of skin conditions and injuries. The 510K clearance introduces the market to a dynamic product capable of partly addressing the $10B global wound care market and is the first product to come from Aleo BME’s growing platform of bioactive polymers being developed for in health care, cosmetic, and agricultural applications. Aleo BME’s foundational technology is comprised of novel biopolymers and nanoparticles developed within its medical device R&D program. Aleo BME is currently partnering for scale-up and distribution of the ElaSkinTM liquid bandage and expects to make it available for both prescription and over-the-counter use by 2019. 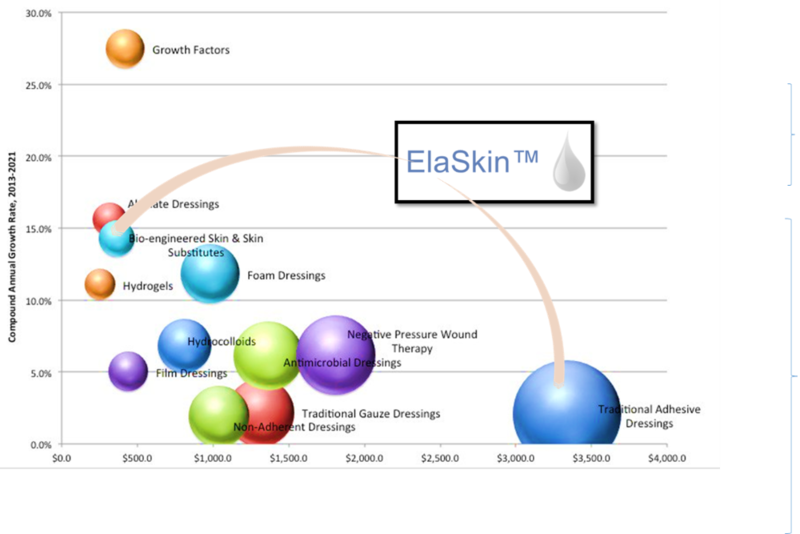 The wound care market is quickly expanding into niche opportunities that are now accessible to ElaSkin.